Asia Minute: Surfing as an Olympic Sport for the Tokyo Games? The surf could be up for the Tokyo Olympics. Surfing is one of the sports the Tokyo Olympic Organizing Committee is suggesting be added to the games it hosts in 2020. HPR’s Bill Dorman has more in today’s Asia Minute. 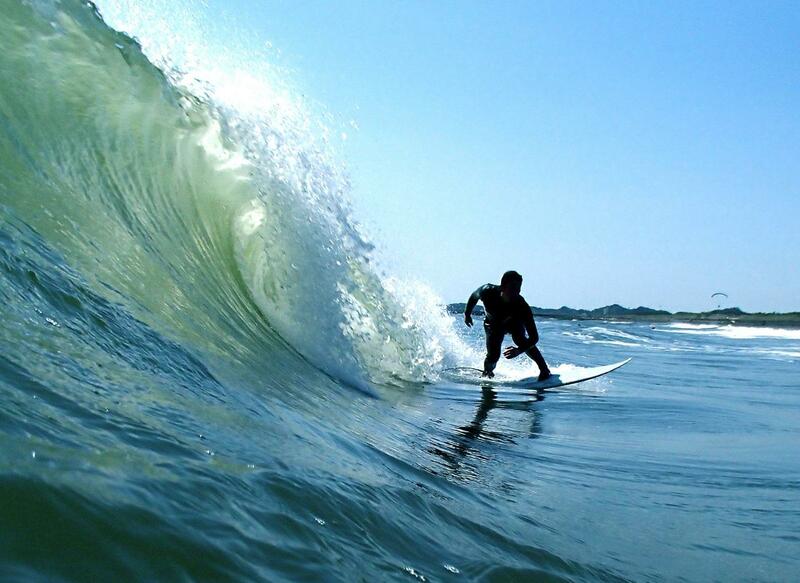 Surfing is one of five sports the Tokyo Olympic Organizing Committee is recommending as part of the 2020 summer games. There’s baseball and softball, karate, sports climbing, skateboarding and surfing which is popular in Japan. Surf boards in their travel bags frequently rattle off the luggage carousel at the Honolulu airport on flights from Narita. There are definitely home-grown waves—on the island of Honshu alone surf spots can be found in Kamakura, Chiba, Kanagawa, Izu and more. Indoor wave pools were popular for a time in Japan. Wild Blue Yokohama had a run in the 1990’s and then there was the “Ocean Dome” in Miyazaki—on the southern island of Kyushu. That was the largest wave pool in the world for a while - before it ran into financial trouble and closed. There’s a history to surfing in Japan—and not just with the fiberglass boards American GI’s brought with them after World War Two. Old-style Japanese wooden boats had removable floor boards and historians say children would take them out of the boats and use them to ride waves. The surfing proposal for the Tokyo games is still just a recommendation---the International Olympic Committee will make a final decision next summer. When it comes to Hawai‘i’s energy future, one option not under consideration is nuclear power. But that’s an idea that’s been discussed for some time in Malaysia—with a few recent developments. HPR’s Bill Dorman has more in today’s Asia Minute. Malaysia’s energy future may or may not include nuclear power. One of the many reasons to be grateful for Hawai‘i’s trade winds is that they keep vog away from residents north and west of the Big Island. But in some parts of the world, problems of hazy skies need more than trade winds as a solution. HPR’s Bill Dorman explains in today’s Asia Minute. There is no school in Singapore today. It’s not a national holiday---it’s a health precaution.